Cellfina® is a long-term, quick, and painless treatment option for cellulite and skin laxity. Cellulite is the bane of many women. It is genetically passed down and can’t be treated through simple diet and exercise. No matter your lifestyle or weight, if cellulite runs in your family, you will get it. 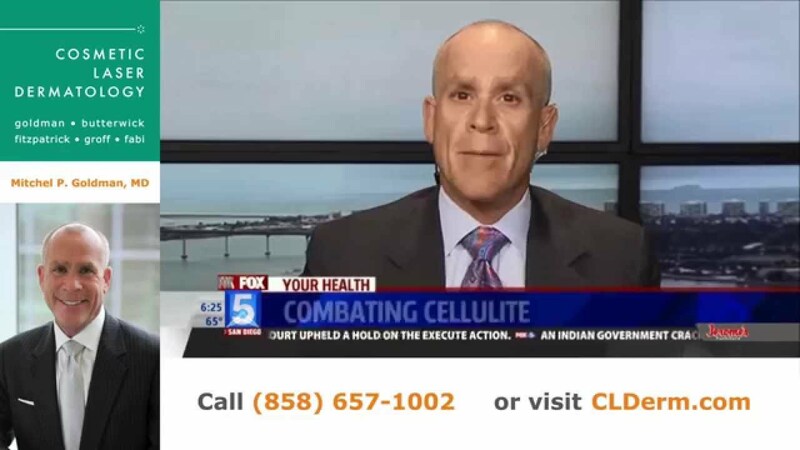 Now, there is a brand-new FDA-approved device which can help to reduce your cellulite for at least a year! Cellfina is the first long-term cellulite solution which is quick and painless, and Cosmetic Laser Dermatology in San Diego is one of the very first practices to offer it! Our doctors perform the treatment themselves, which allows patients to obtain the most optimal results possible from the most skilled practitioners. Cellfina goes further than superficial smoothing of the skin by targeting the underlying causes of cellulite. 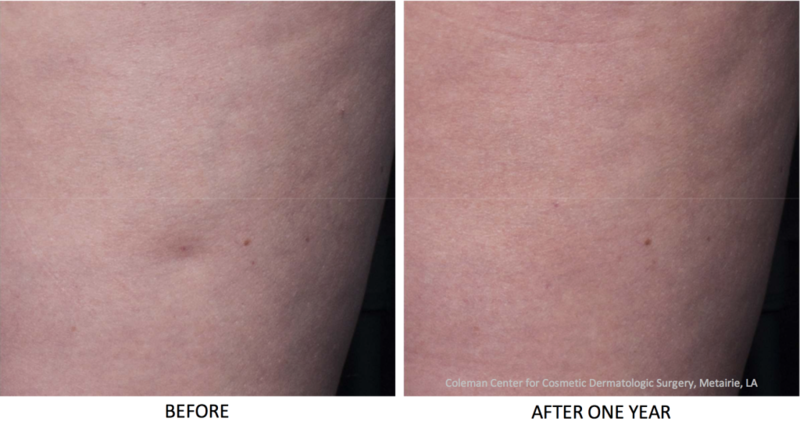 Through an automated subcision process, Cellfina cuts the septae that are causing the dimpling characteristic of cellulite. This allows the skin to spring back into shape and become much smoother. Cellfina is FDA-approved, and has been shown in clinical trials to last for up to a year and even beyond. The Cellfina treatment is quick and painless due to the use of a topical numbing agent before treatment. It takes only around an hour for a board-certified dermatologist to treat 25 dimples. There are no severe adverse effects associated with Cellfina, with the most common side effects being some bruising or soreness which disappears quickly. While there are other cellulite treatments available, Cellfina is the most advanced and longest-lasting, with results proven to last for up to a year or more. In addition, the lack of downtime and relative speed of the procedure mean that it is a great choice for people leading a busy life. Don’t let cellulite prevent you from feeling confident in your shorts or swimsuit! Try Cellfina and you’ll want to show off your skin. With long-lasting results, a painless and quick procedure, and proven results, there’s no reason not to! Take back your hemlines with Cellfina! Sculptra is an injectable filler that improve skin laxity and add volume to the skin. This minimally invasive treatment is great for the reduction of cellulite in various areas of the body, including the buttocks.